After using GNOME for a while, you may wish to change a few things about the overview mode, or even tweak the panel. These eight extensions help you do just that! When GNOME 3.0 launched GNOME 3 Beta - Welcome To Your New Linux Desktop GNOME 3 Beta - Welcome To Your New Linux Desktop Read More , it introduced a new overview mode. Here you launched apps, switched between windows, and managed virtual desktops. I loved it, and GNOME became my favorite desktop environment on any operating system. But there are still a few changes I like to make. And I can. That’s one of the great things about GNOME. You can change things enough to win over people who don’t like the default experience. Users can tweak any aspect of the GNOME Shell by creating an extension. The project has provided a website at extensions.gnome.org where others can download these creations. And you know what? There’s a solid chance someone has already made a way to tweak GNOME in the way that you want. After using GNOME for a while, you probably wish you could change a few things about the overview mode. You may want to tweak the panel too while you’re at it. Here are eight extensions that do just that. One of GNOME’s early criticisms was the hassle of entering overview mode to do anything. 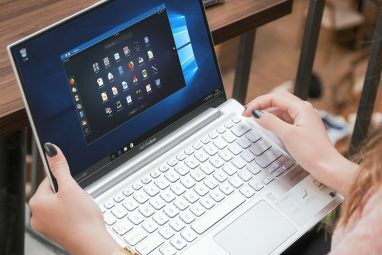 Everything shifts around whenever you want to launch an app or switch to a window in the background. If only the Dash (GNOME’s name for the dock visible in overview mode) were visible all the time. Dash to Dock can make this happen. The extension takes the Dash and makes it ever present. You have more options than you might expect. One is whether to leave the dock on the left or move it to any other side of the screen. Another is to have it always visible or auto-hide whenever a window gets in the way. You can change icon sizes, make the dock transparent, mark the number of open windows, and more. Or you can remove the Dash entirely. This is my preferred approach. Instead of clicking on apps to launch them, I search for them and press enter. Removing the icons helps me focus less on open apps and more on open windows and what’s in each virtual desktop. Hide Dash X doesn’t have any options, nor does it need them. Once you install the extension, the Dash goes away. Disabling the extension brings the Dash back. Simple. And yet this is one of my favorite GNOME add-ons. Overview mode shows everything on a single screen. This includes the time and status indicators. So do you really need that information always on display in a panel? Maybe you do. Many people love seeing the time and remaining battery life at a glance. Others prefer to remove any distractions and see only what they’re working on. This extension can help them out. You can have the panel only display during overview mode or set it to appear when you mouse the edge of the screen. You can even set overview mode to appear whenever the panel does. This way you can use the entire top of the screen as a hotspot instead of only the top left corner. It doesn’t have to be all or nothing. The panel can stay visible up until a window moves into its space. And you can toggle the panel with a keyboard shortcut of your choice. Instead of sliding windows into a straight line (pictured below), it may keep them close to how they appear on your desktop (pictured above). Plus it moves the window title from the bottom to the top of the window. Sometimes the difference between GNOME’s default behavior and this extension’s isn’t that stark. Other times it makes a big difference. Give it a shot and see which approach makes more sense to you. Have you ever noticed the dropdown arrows in the panel? They’re next to the application name and status indicators. Those arrows are supposed to suggest that there are more options, but they’re not consistent. Why isn’t there an arrow next to the clock? And since everything in the panel can be clicked, are those indicators even necessary? Get rid of them with the Remove Dropdown Arrows extension. Boom, problem solved. Shoving your cursor into the top left corner of the screen thrusts you into overview mode. So does accidentally nudging against that area when you meant to hit the back arrow in Firefox instead. If you tend to activate the hot corner by mistake more often then not, you may be happy to know that you can stop that behavior for good. And you can still bring up overview mode by clicking Activities or pressing the Super key. Once you download this extension, you’re free. There isn’t more to it than that. 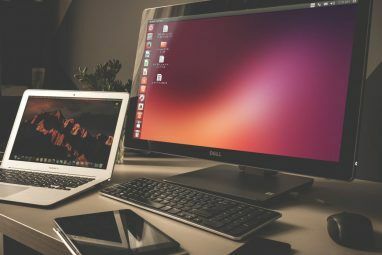 One of the great aspects of Ubuntu’s Unity is the ability to launch apps using keyboard shortcuts Save Time with 20 Linux Keyboard Shortcuts GNOME, KDE, & Unity Save Time with 20 Linux Keyboard Shortcuts GNOME, KDE, & Unity You know about Windows keyboard shortcuts, but having just migrated, you're wondering "what about Linux?" 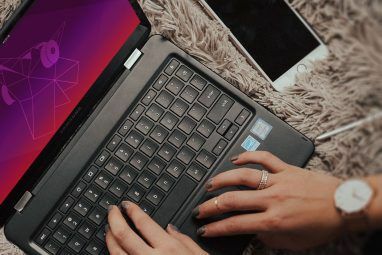 Well, try these 20 awesome shortcuts for three of the most popular Linux desktop environments: GNOME, KDE, and Unity. Read More . Super + 1 launches the first app, Super + 2 launches the second, and so on. The GNOME Shell doesn’t behave this way, but that’s nothing an extension can’t fix. AppKeys makes the magic happen. And if you hold down Shift while entering a hotkey, you can open a new window instead. Elementary OS is arguably the most visually polished Linux distro out there Looking For A Beautiful, Easy To Use Linux Distro? Try Elementary OS Luna Looking For A Beautiful, Easy To Use Linux Distro? Try Elementary OS Luna Elementary OS Luna is a lot more than Ubuntu with some tweaks and a nice theme. Here's what to expect. Read More . One of its nice touches is the way the panel is transparent when no windows are maximized. This is a visual element that feels right at home on the GNOME desktop. To make it happen, try using this extension. Your panel will now fade as you maximize and unmaximize windows. Depending on your wallpaper, pure transparency may be hard to read. In that case, try the Dynamic Top Bar extension instead; this lets you add a shadow gradient to keep the panel legible. That’s Better Now, Isn’t It? The GNOME Shell’s customizability is one of its biggest strengths. Enabling an extension is as easy as hitting a button in your browser. Removing it is just as simple. If only all software could be this easy to tweak Configure Your Gnome 3 Desktop With Gnome Tweak Tool Configure Your Gnome 3 Desktop With Gnome Tweak Tool There aren't exactly a bazillion different customization options for just about anything, as GNOME 3/Shell is still relatively new. If you're one of those people who can't stand GNOME 3 as long as you cannot... Read More . Many of these above additions are so seamless, it’s surprising they’re not included by default. 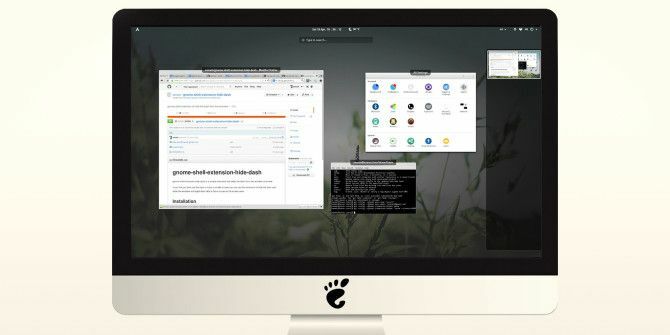 That’s not the case with many of the other extensions out there Make Gnome Shell Usable With These 12 Extensions Make Gnome Shell Usable With These 12 Extensions Read More . What GNOME Shell extensions do you consider essential? Which would you recommend to others? I love discovering new extensions, so I’ll be keeping an eye out in the comments! Explore more about: GNOME Shell, Linux, Linux Desktop Environment.